Rexhep Hasani entered Ahmadiyya Muslim Jamaat in year 2002. He is a veteran of Kosovo War also who got injuries in 1999. The young Rexhep took part in the Kosovo Freedom war and was injured by a grenade. Later he came to Pristine to study and became a teacher of Albanian literature and language. There he learned about Ahmadiyyat, the true Islam, through Mr Musa Rustemi (late) and the Missionary of Kosovo Mr Javed Iqbal. After entering Ahmadiyya Jamaat he became an example for community members. Interestingly on 27.12.2018 he became also an example for all other Principles in Kosovo. 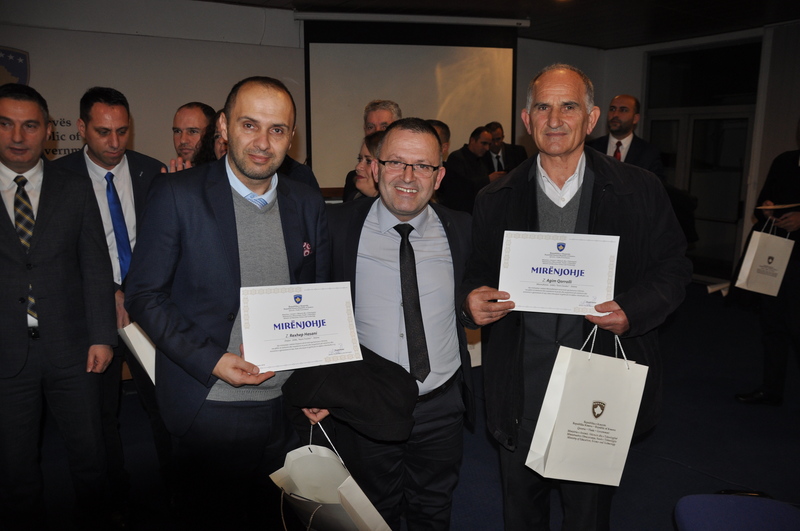 He was declared from the Ministry of Education of Kosovo from the Director of Education Kosovo, Mr. Fehmi Hysenaj, as an exemplary principle for the year 2017/18. It is interesting to note that the first project of Humanity First in Kosovo was completed in his school, in which Humanity First Germany donated 18 computers and made the implementation of this e-learning program possible. Mashallah. He is such a gentle and nice soul that who so ever meets him praises his submissive and noble nature. That’s really an acquisition! May Allah grant him a long and blessed life and show many people in Kosovo the way to Islam-Ahmadiyya!